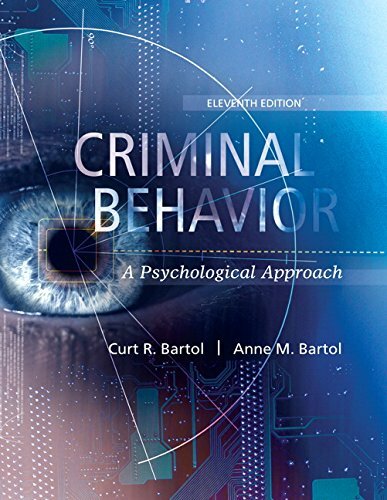 Building on a tradition of excellence, Criminal Behavior: A Psychological Approachis accurate, well-researched, contemporary, and comprehensive. It offers a detailed look at crime, what may lead to it, and how criminal behavior may be prevented — all from a psychological perspective. With a focus on serious crimes, particularly those involving violence, this text offers an all-inclusive look at a very complex field through effective and engaging material that has been classroom-tested for more than thirty years.